At La Joya, we believe that athletic competition builds sportsmanship and character. People of character live by the "Six Pillars of Character," universal values that can be used to define a good person: trustworthiness, respect, responsibility, fairness, caring, and citizenship. We encourage students to participate in and get involved in athletics and other extracurricular activities. Visit our District Athletics web page for more information about our programs. La Joya Community High School would like to announce that we recently hired Devin Dourisseau to take over as head varsity football coach. 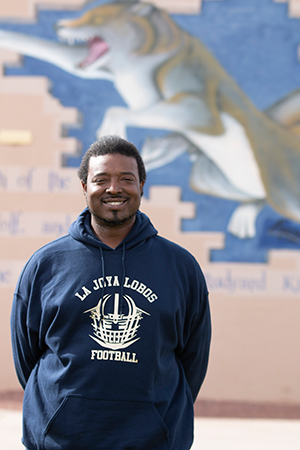 Devin is a proud Avondale community member, teaches science on campus, and has been a part of the Fighting Lobos football program for the past seven years. Please join us in congratulating him on his new position!